PAPERFOX - cutting, punching, folding: How to make patch handle carrier bags? How to make patch handle carrier bags? We have modified our Paperfox MP-2 press for punching handle into plastic or paper carrier bags. 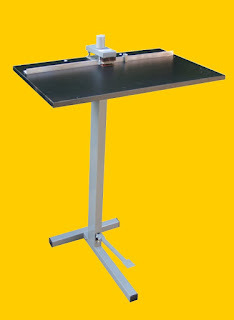 Our Paperfox MP-2 press with a MPA-2 table is a real multi purpose device, but now we increased its capabilities.